Estrogen receptor beta (ERβ) inhibits proliferation in different cellular systems by regulating components of the cell cycle machinery. Eukaryotic cells respond to DNA damage by arresting in G1, S, or G2 phases of the cell cycle to initiate DNA repair. Most tumor cells due to disruptions in the p53-dependent G1 pathway are dependent on S-phase and G2/M checkpoints to maintain genomic integrity in response to DNA damage. We report that induction of ERβ expression causes abrogation of the S-phase, and the Chk1/Cdc25C-mediated G2/M checkpoints after cisplatin and doxorubicin exposure in p53-defective breast cancer cells but not in p53 wild-type mammary cells. This impairment of DNA damage response that involves BRCA1 downregulation and caspase-2 activation results in mitotic catastrophe and decreased cancer cell survival. These results indicate that in cancers where p53 is defective, assessment of the presence of ERβ may be of predictive value for the successful response to chemotherapy. The online version of this article (doi: 10.1007/s10549-010-1011-z) contains supplementary material, which is available to authorized users. We thank Tassos Diadmimopoulos, Fotis Nikolos and Gayani Rajapaksa for technical help and Aurélie Escande for providing us with the ERβ-expressing HeLa cells. We thank Margaret Warner for critically reading the manuscript. 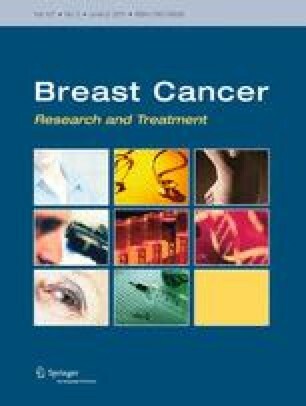 This study was supported by the Swedish Cancer Society and the Welch Foundation.